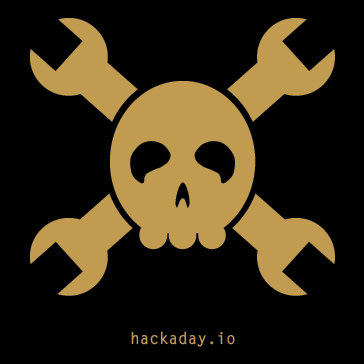 Hackaday.io is the world's largest collaborative hardware development community. Hackaday serves up Fresh Hacks Every Day from around the Internet. Our playful posts are the gold-standard in entertainment for engineers and engineering enthusiasts. We are taking back the term “Hacking” which has been soured in the public mind. Hacking is an art form that uses something in a way in which it was not originally intended. This highly creative activity can be highly technical, simply clever, or both. Hackers bask in the glory of building it instead of buying it, repairing it rather than trashing it, and raiding their junk bins for new projects every time they can steal a few moments away. Our front page is a mix of hacks from around the community as well as our own original content. We strive to promote the free and open exchange of ideas and information. We educate those just learning the art of Hack, and provide inspiration for the seasoned veterans. Don’t be shy; if you want to show off your project, or have found something cool of someone else’s that deserves sharing, send us a link! But don’t just read Hackaday — you should delve deeper into the community. Document your work on our hosting site at Hackaday.io. Tell the world about your interests and show off the stuff you’ve already built. Start a build log for that project you’ve been dreaming of recently. Make some friends and collaborate with them on a project. Get lost digging through mountains of gnarly hacks. HACKADAY STAFF, “Hackaday.io collaborative hardware ,” evivliothiki, accessed April 21, 2019, http://evivliothiki.gr/items/show/19.